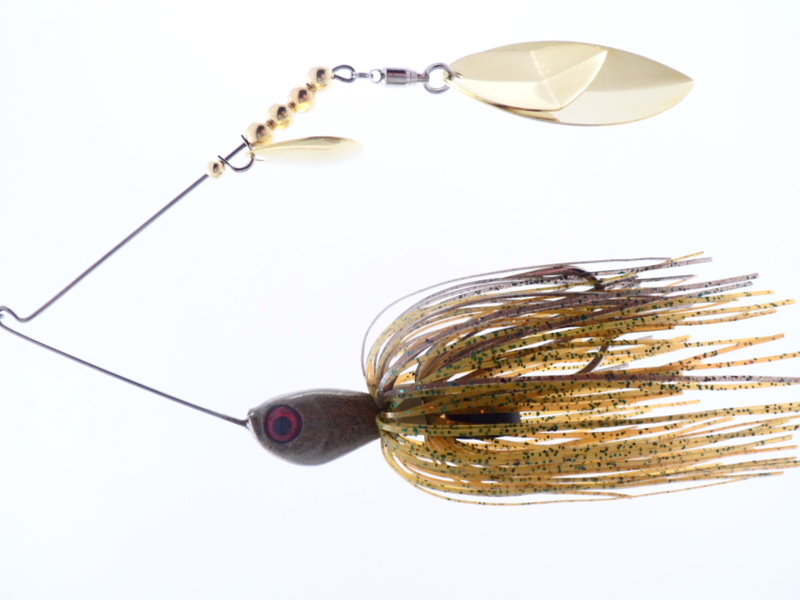 The BHO 2.0 Rattling Midnight Thumper was designed to make more noise, have more flash, and create more vibration than any other spinnerbait on the market. 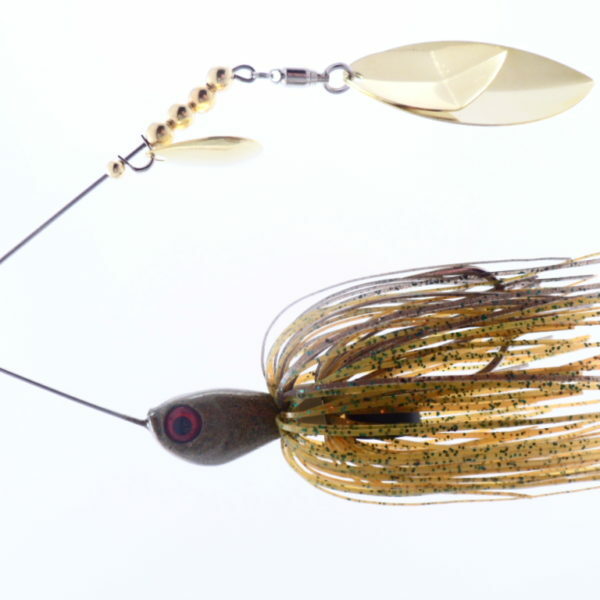 The BHO (Better Hang On) kicker blade makes it all possible by causing a wider rotation of the outer blade, adding more flash itself, and creating a constant chatter between the 2 blades. The latest, 2.0 version, has more consistent blade performance on long casts and slow retrieves. 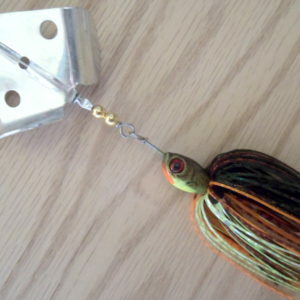 This one was built to be slow rolled and we added rattles to get more sound than any other BHO bait. 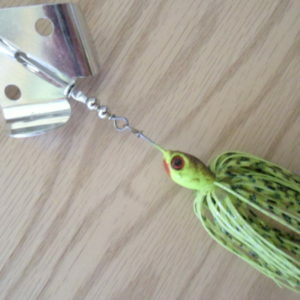 Don’t pass up the chance to bump some brush piles with this bait! 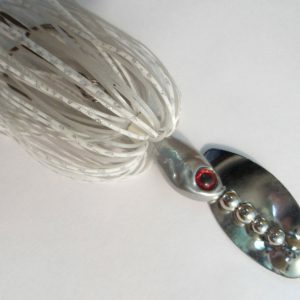 This bait is built on a .035 stainless wire frame, has extra-large molded 3D eyes, an oversized shoulder (flares the inner part of the skirt for more pulsating action), a rattle chamber, and a ball bearing swivel. 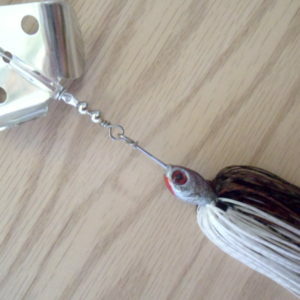 Offered in 1/2oz with a 5/0 Mustad hook and 55 strand skirt. All skirts are tied in place using a wire or zip tie.